Free Delivery to Livermore, Dublin, Pleasanton, San Ramon, and Danville. We will be closed and will not be accepting any orders on Easter Sunday. Thank you for understanding. 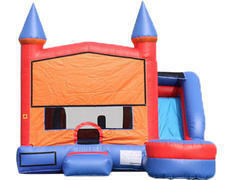 Bouncy Bounce offers a superior bounce house rental experience in Livermore, Dublin, Pleasanton, San Ramon, Danville. All rentals in these cities include free on-time delivery, setup, and pickup. We also offer delivery to Alamo, Blackhawk, Walnut Creek, Concord and Pleasant Hill. 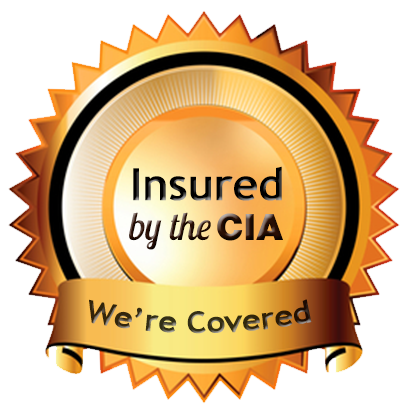 Our bounce houses are safe, fun, and clean. Need tables and chairs? We have those too! 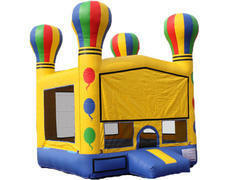 RESERVE YOUR BOUNCE HOUSE AND SOFT PLAY YARD ONLINE! Just Pick a Date, Pick a Bounce House and/or Soft Play Yard, and Reserve it! All rentals are for the entire day (9am - 6pm)*. 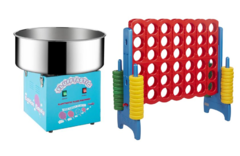 Keep it overnight until 9am the next morning for only $50.00 more. Want it for multiple days? Receive 50% off the regular price for each additional day. Please call us to discuss your unique needs. Please contact us if you have any questions or if you don't see what you're looking for! 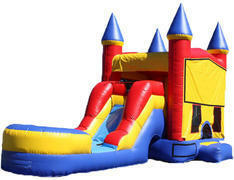 Bouncy Bounce is a fully insured, family owned and operated business dedicated to delivering safe and clean equipment to your event on time. Your event only happens once. We understand that you can't risk hiring a company that may not show up on-time (or at all). This never happens with our company; we guarantee on-time delivery with a smile. Our jumpers are newer, safer, and are thoroughly cleaned with a nontoxic biodegradable cleaner before each rental. 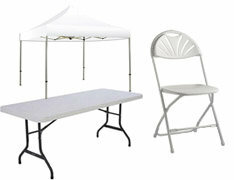 Plus, we offer full-day rentals to maximize the fun! What's a party without a bounce house? *Delivery and pick up times will vary based on a number of factors, including number of orders we have for the day and customer locations. Fall/Winter hours are 9am-5pm and Spring/Summer hours are 9am-6pm.